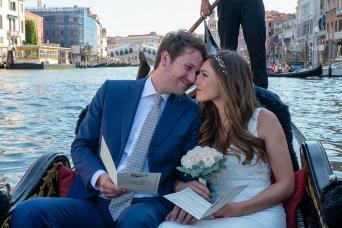 Renew your wedding vows in the most romantic city, Venice, accompanied by a celebrant who'll accompany you through this unique ceremony. 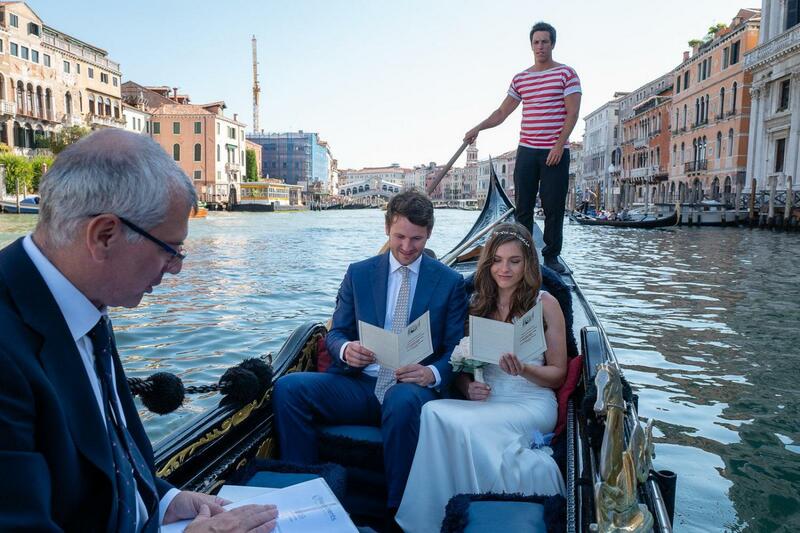 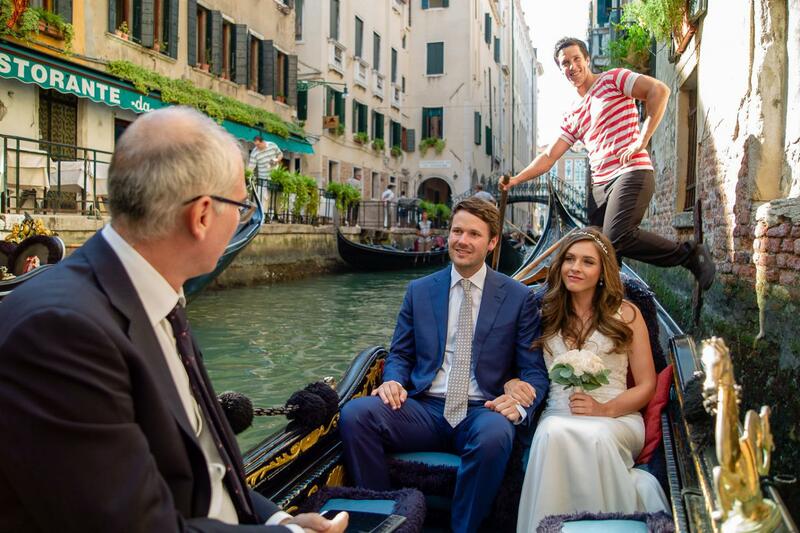 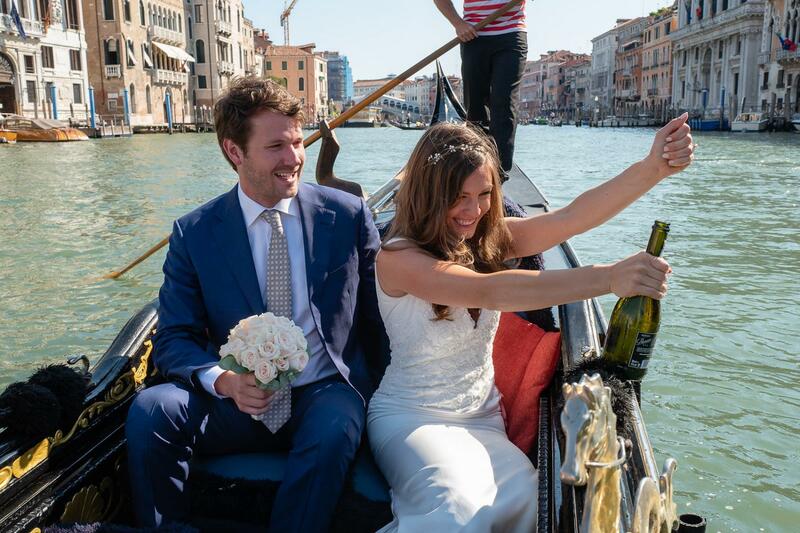 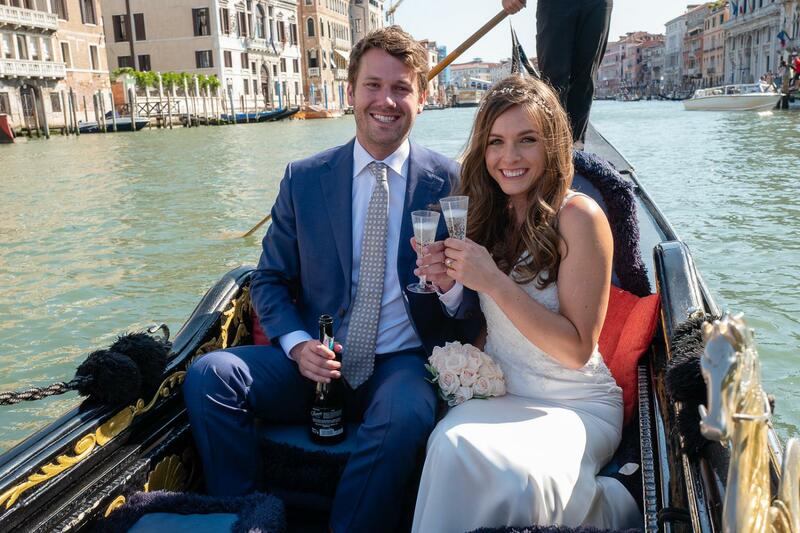 Your gondolier will lead you through the gentle rhythms and movements of the Grand Canal, and then into the quieter canals where the ceremony will take place in tranquility. 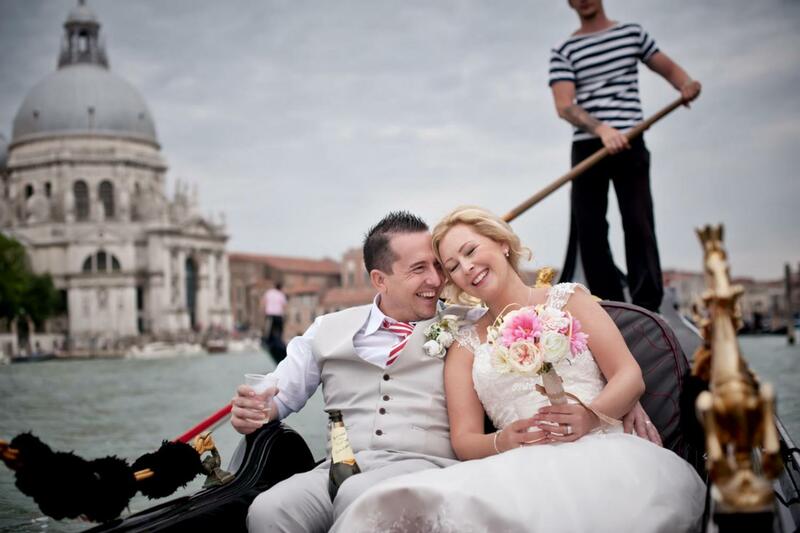 This romantic gondola ride includes a bouquet of roses. 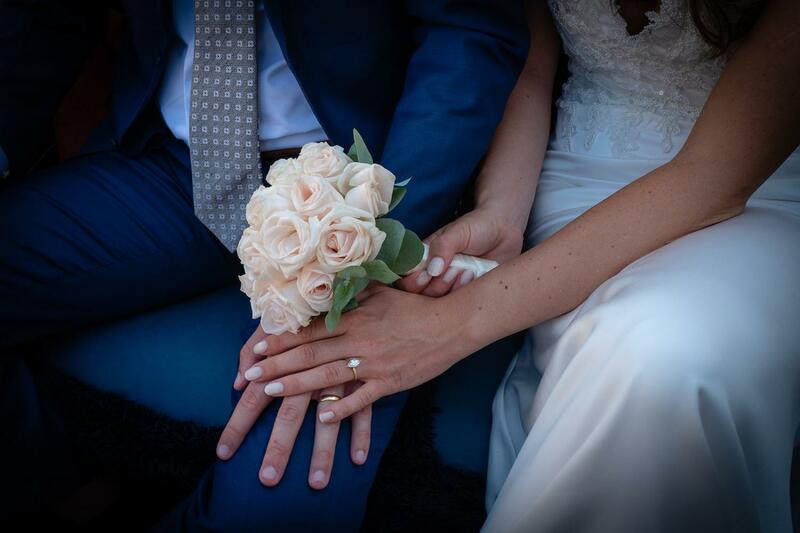 It is possible to exchange rings and read personalized vows to each other, and at the end of the ceremony you will sign an official certificate to formalize the ceremony. 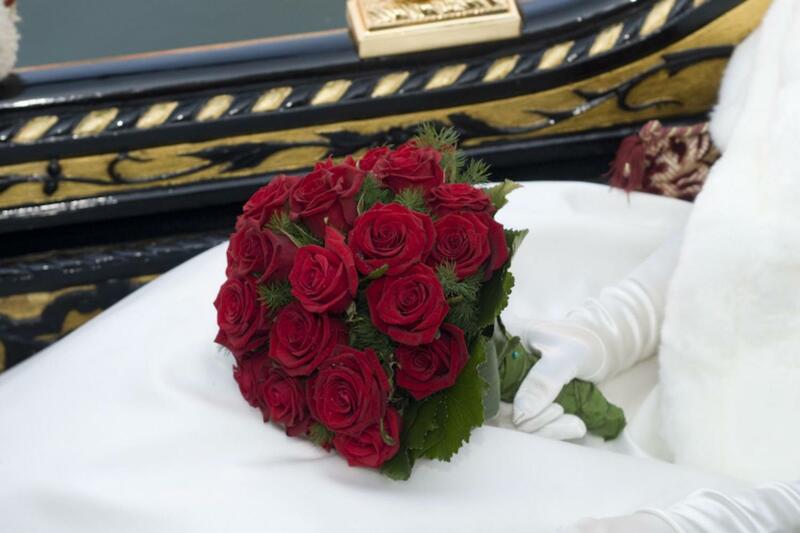 This is the ideal way to celebrate a significant wedding anniversary, or simply to surprise your beloved partner! 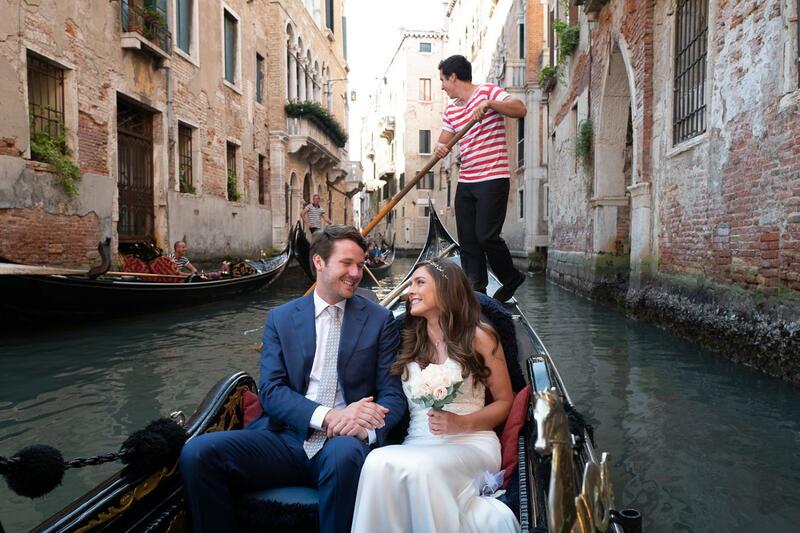 See Venice Grand Canal and also small canals.